Note: 全尺寸版本請點擊圖像. Click image above for full-sized version. 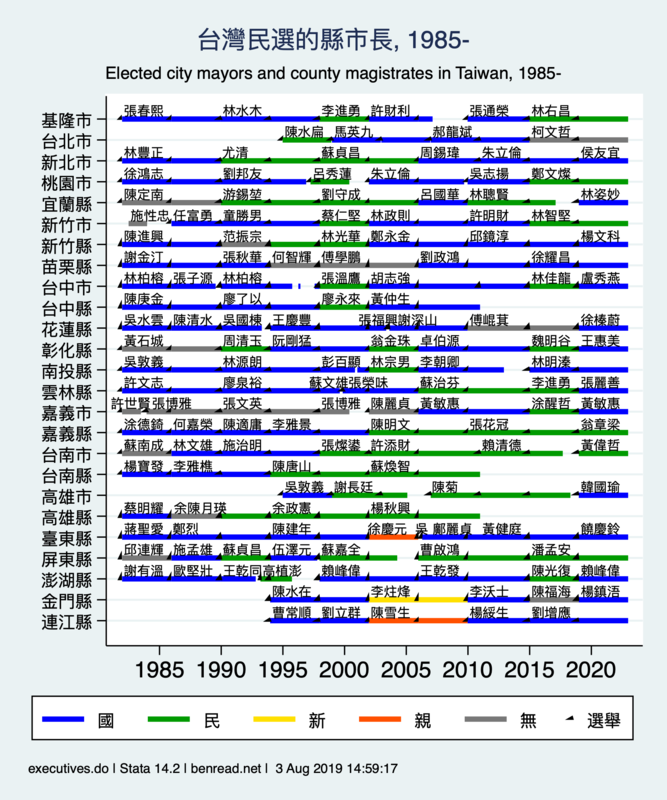 Elections for the mayors of the cities of Taipei and Kaohsiung were reintroduced in 1994. 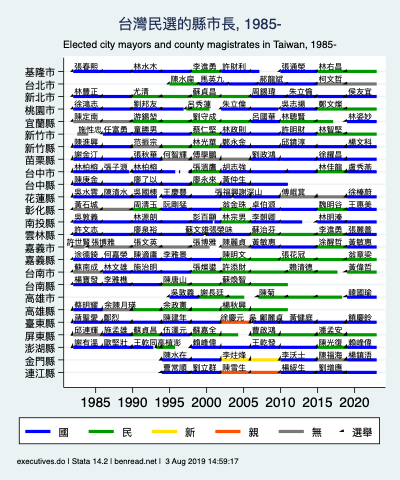 In 2010, Taichung County, Tainan County, and Kaohsiung County merged with their respective cities. 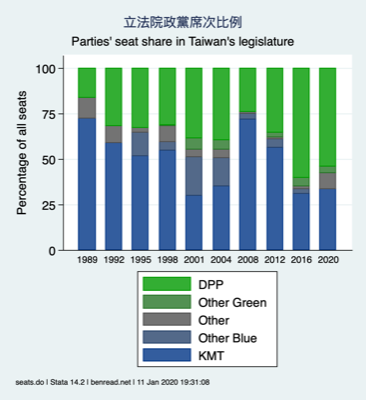 Note: 全尺寸版本請點擊圖像. Click image above for full-sized version. 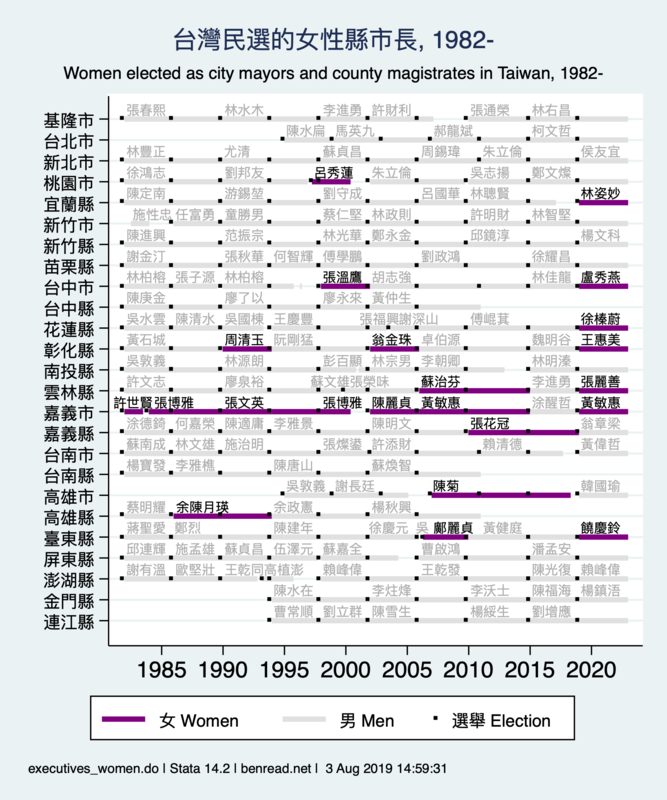 14 women had been elected to city and county executive positions as of 2014. 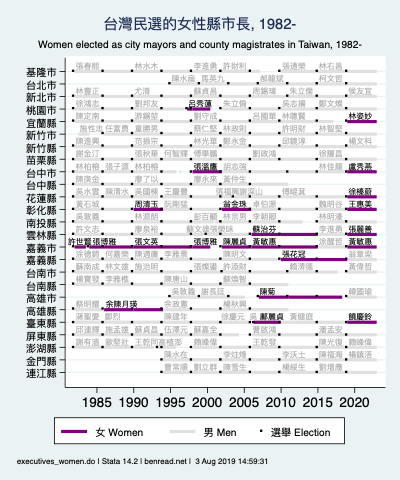 Elections for the mayors of the cities of Taipei and Kaohsiung were reintroduced in 1994. In 2010, Taichung County, Tainan County, and Kaohsiung County merged with their respective cities. Note: 全尺寸版本請點擊圖像. Click image above for full-sized version. 歡迎讀者傳來各種評論、更改、和建議. Comments, corrections, and suggestions welcome.